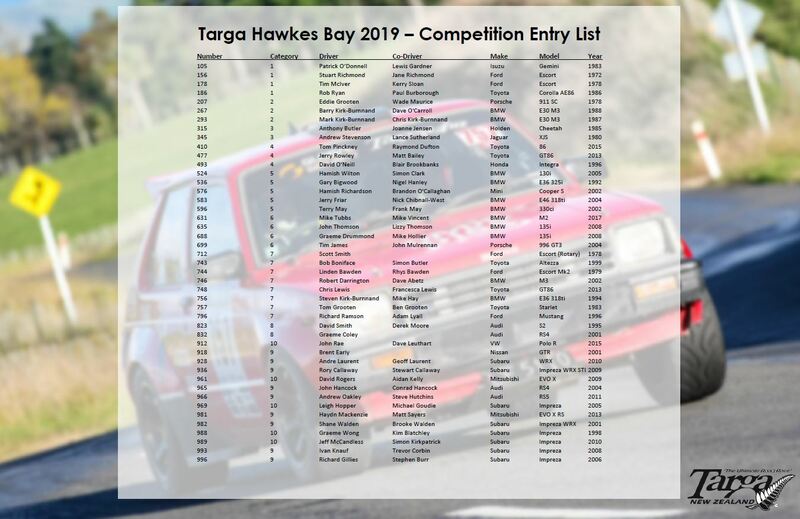 We’re full steam ahead in our planning for our 2019 events! 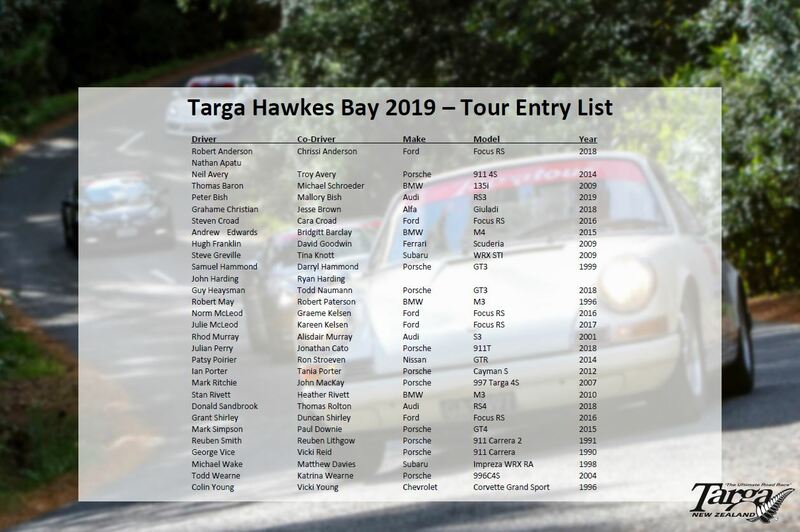 We’ve already started to hit the road running with Targa Hawkes Bay in May. 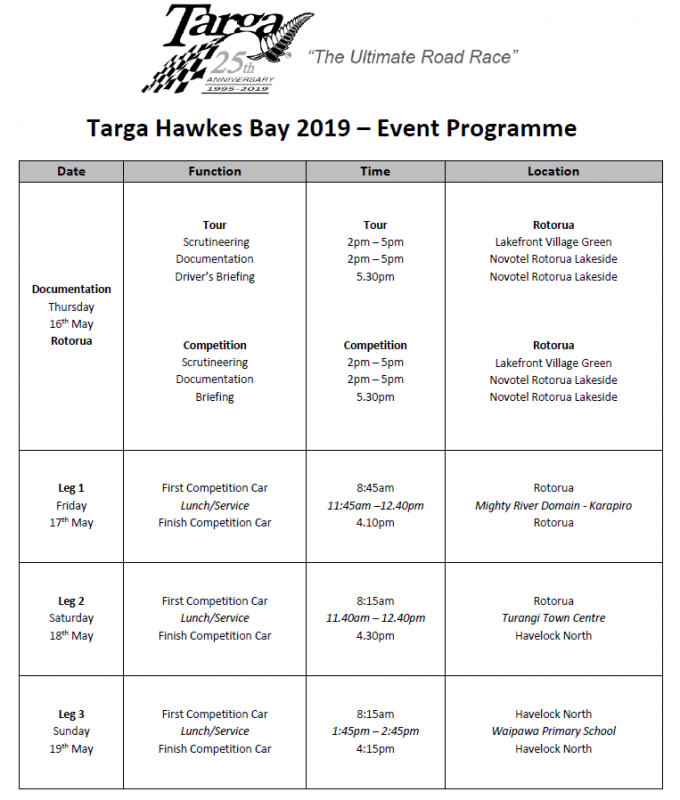 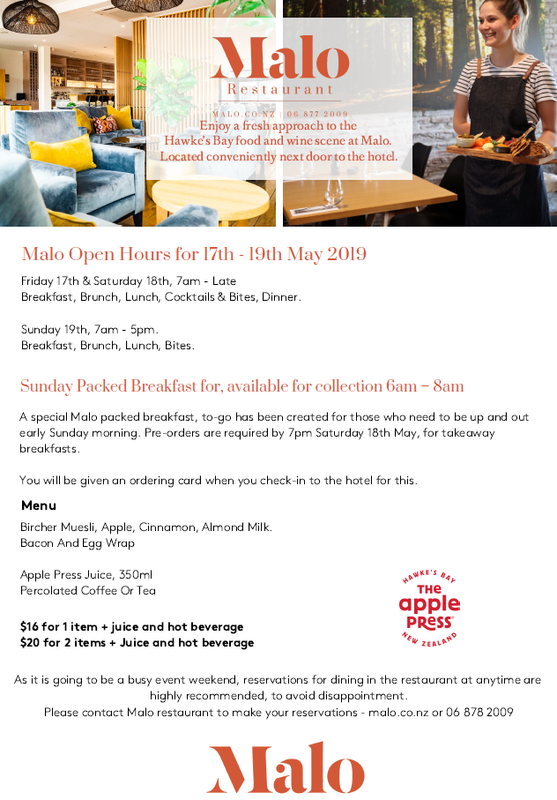 With Documentation taking place on Thursday 16th May, this three day event will then commence in Rotorua on Friday 17th May 2019, concluding on Sunday, 19th May in Havelock North. 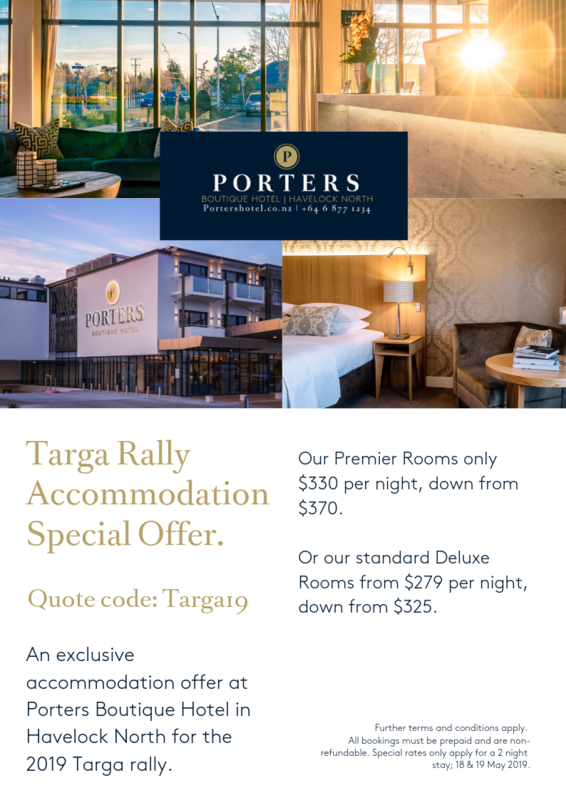 Event pricing is available here.